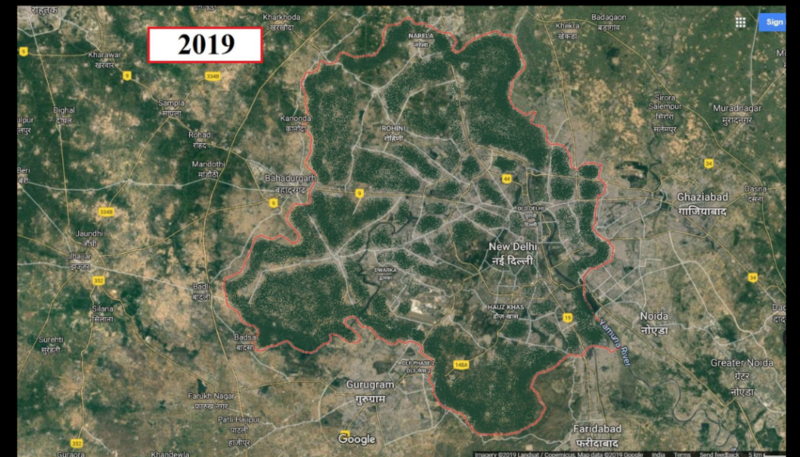 You may have heard about trees being felled all over Delhi and that the highest air pollution in the world can be found here on most days of the year. 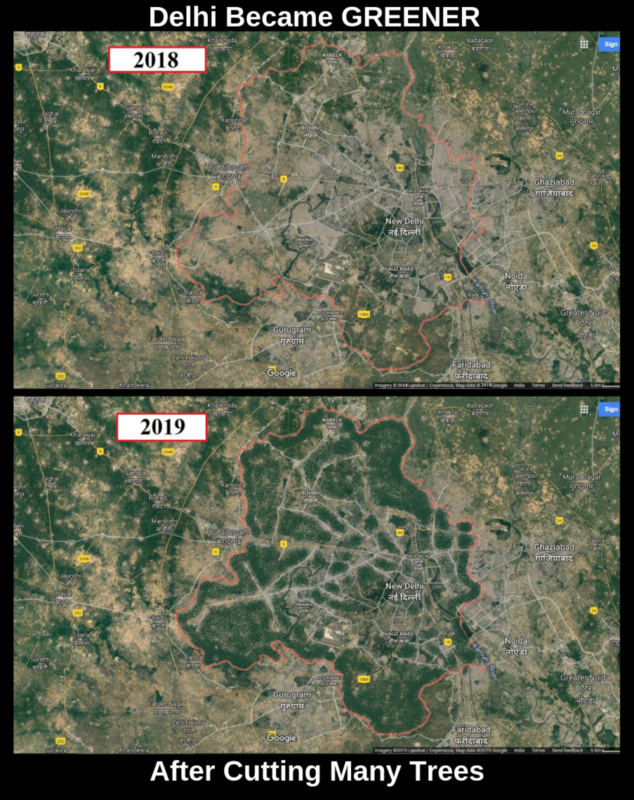 At the same time there are some claims that Delhi is the greenest place on the planet. So, we compared the satellite images of Delhi from last year to this year and we found that the green cover in Delhi has increased by 80% in a very short span of time. With the increase of green cover, air pollution has gone down and there is an increase in wildlife. Even the water table has got recharged completely. The health of the citizens has improved, leading to a decrease in stress levels and increase in happiness. This has been possible because of the 100% active participation from the people. We are glad that each and everyone has stopped using plastics, started making compost at home and use bicycles instead of cars. Since everybody has everything they need, malls were removed to build public parks. Majority of structures have rooftop gardens. Not a Single branch was required to be cut in the city since people learnt to coexist with nature. Road-widening projects turned into road-narrowing projects to accommodate more living nature in those dead spaces. There has been an increasing number of tourists visiting the city, because Delhi has become more beautiful. This wouldn’t have been possible without the help of the politicians. It’s all because of their hard work, perseverance and determination that Delhi’s natural environment is prospering. If you are still wondering why you have not experienced the increase in greenery, it is because this is an April Fools Day awareness campaign. All the statements mentioned above is a joke, since the leaders take Environment Protection as a joke. If more people would take this issue seriously, then our reality would not be the current situation you see today. You are important and your life is not a joke. So don’t just sit there, do something to save your world. lolol , i hate you!